Drawing out a distinction between private property pure & simple and private property with an element of public character, a learned Single Judge- Justice Dama Seshadri Naidu- of the Kerala High Court, after discussing various provisions of the Kerala Land Relinquishment Act, 1958 and Kerala Panchayat Raj Act, 1994 has held in a judgment, replete with references to great English Jurists Sir Edward Coke, and the Earl of Chatham, that if a pathway is within the confines of a house, however sprawling it may be, whatever lies therein may be private in character and private in use. Once it is meant to connect somebody else's, thus becoming part of a network of roads or paths, however short or insignificant its extent and reach may be, it is to sub-serve the public purpose of providing access to and fro. Justice Naidu’s opinion came in an interesting case where the issue which arose for consideration was whether the road in question leading to the houses of the petitioner and six others is an exclusive private path, meant for the benefit of those seven persons; or a public road vested in the respondent Grama Panchayat, meant for the benefit of the general public. The petitioner, having a residential building within the limits of a Grama Panchayat, shared a pathway with six others in the locality. The pathway, formed when an area of 71 cents of private land was plotted out by the owner of the property, was only meant to serve the needs of the houses constructed on either side of it. When the petitioner and her neighbours came to know in 2011 that the Panchayat had included the private pathway in its Asset Register around 2011, all of them submitted an application to the Panchayat seeking the removal of the road from the Asset Register. Though there was no official reply, the then Panchayat secretary and Assistant Engineer of the Grama Panchayat were said to have informed the petitioner and her neighbours that the pathway had been removed from the Asset Register. The petitioner alleged that after considerable lapse of time, now the Grama Panchayat, without any manner of right, started laying interlocking blocks on a part of the road at the behest of the member of the ward. Alarmed at the turn of events, the petitioner submitted to the Secretary of the Panchayat, an application under the Right to Information Act to know how the Grama Panchayat could lay a road on a private path. 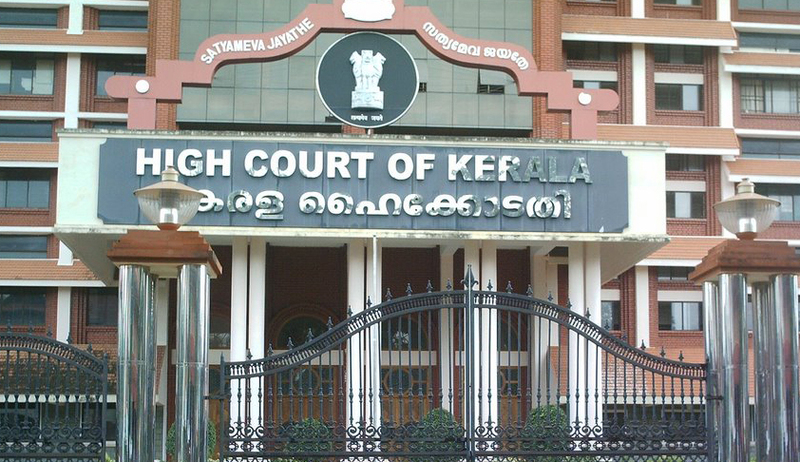 Having not been heard from the Grama Panchayat, the petitioner approached the High Court of Kerala for reliefs. The petitioner, through her counsel contended that there is no record to show how the private property is brought into the Asset Register of the Panchayat by following the due process. She contended that the road came into existence only in 2002; when the owner plotted out the property, he sold the individual plots along with right in the pathway, thereby collecting from the purchasers the cost of the pathway as well. In the end, the petitioner urged the court to order the Grama Panchayat to restore the road to its original condition at its own cost. Counsel for the Panchayat on the other hand contended that the so-called private pathway, known as garden road, was included in the digitalised Asset Register in 2011. According to him, it was a long-standing demand of the people residing by the side of the road, as well as the common commuters, that the road be subjected to tarring or concrete work to avoid soil erosion during rainy season. The Panchayat further advanced the argument that as per Section 169 of the Kerala Panchayat Raj Act, 1994, all the public roads vest in the Grama Panchayat. Referring to the statutory scheme, in particular, Sections 2 and 169 of the Kerala Panchayat Raj Act, 1994, Justice Naidu observed that 'public road' as defined under clause (xxxv) of Section 2 of the Act is quite expansive and that Any street, road, square, court, alley, passage, cart-tract, foot-path or riding path, over which the public have a right of way, even if it is not a thoroughfare, is a public road. (c) in the village Panchayats – other village roads, paths and lanes within the Village Panchayat area. Together with all pavements, stones and other materials and other things installed therein, all drains culverts made along side or under such roads and all works, materials and things appertaining thereto may be deemed as transferred to and vested absolutely in the Panchayat area. (3) Notwithstanding anything contained in sub-section (1) or sub-sections (2) the Government may at any time by notification in the Gazette, exclude from the operation of this Act any such public road, sewer, drain, drainage work, tunnel or culvert and may also modify or cancel such notification and thereupon they shall revest in Government. Provided that, before issuing such a notification the Government shall consult the village panchayat concerned and give due regard to the objections, if any. (4) The government may, by notification in the Gazette, order the transfer to and vesting in, a village panchayat, of any public road or class of public roads in the village panchayat and thereupon such road or roads shall notwithstanding anything contained in subsection (1), but subject to the other provisions of this Act, stand transferred to and vest in, such village panchayat. (5) It shall not be lawful for any persons to occupy any land which is transferred to and vested in a [ ] panchayat under sub-section (1) or sub-section (4), whether a puramboke or not, without prior permission from the 101 [ ] panchayat concerned. Having held so, Justice Naidu proceeded to dismiss the writ petition, and vacated all the interim orders in force in the case.